Plymouth Creek Center offers classes and clubs for mature adults. Education is a lifelong pursuit. For those who want to continue being students long after turning the tassel on a graduation cap, the Plymouth Creek Center hosts a multitude of classes and clubs for all ages. Opportunities for elders are plentiful. “We have a pretty extensive senior audience,” says Chris Fleck, facility manager for the Plymouth Creek Center. 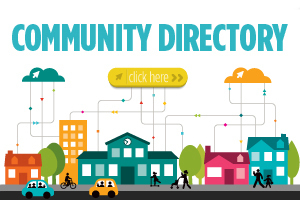 Fleck oversees about 20 different senior clubs and groups. Now celebrating its 20th year, the center welcomes close to 300,000 visitors annually. With many of those visitors being older, Fleck says that “senior” isn’t always the operative word. Part of the reason for that logic, Fleck says, is that now more than ever, elders are seeking out more active programs in order to keep busy and fit, both physically and mentally. Participating in any kind of learning environment, whether it be in a traditional classroom or taking a more hands-on approach, can also help improve memory function over time, says Fleck. The Creek Center also publishes the Senior Grapevine, a bi-monthly newsletter that shares dates for upcoming events in and around Plymouth, as well as contact information for services like Dial-a-Ride, snow removal services and of course, enrollment for classes at the Creek Center. One of the classes offered continuously throughout the year is an introduction to watercolors workshop, held on Tuesdays and occasionally on Thursdays, in order to meet the demand for this popular class. 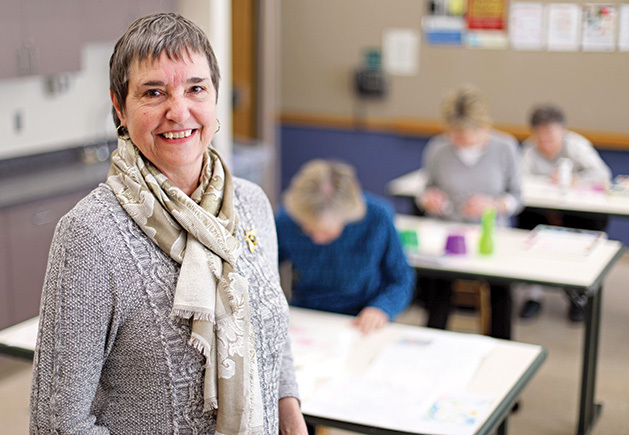 The instructor, Kathleen Parker, also teaches a mixed media class at the center. 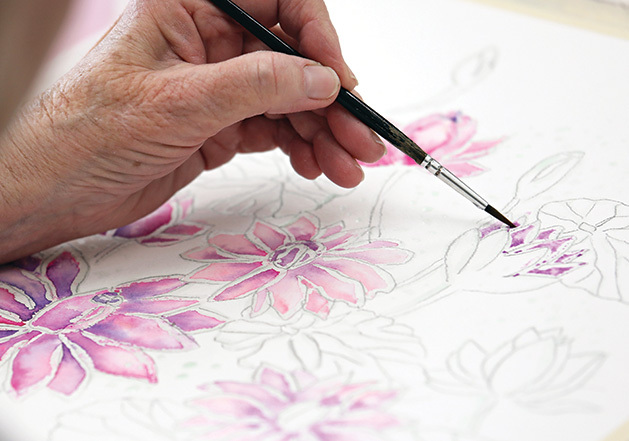 Kathleen Parker is a professional artist who has been sharing her talents with the senior community for 19 years. Parker also teaches a mixed media class at the center. “It’s so rewarding to see the surprise when people start to create within themselves. I adore the people. They’re wonderful to work with,” says Parker. Parker stresses that although she’s a professional, no one should feel as though they’re not experienced enough to pick up a paint brush. “[We’re] not striving to make Picassos,” she explains. “[We’re] just enjoying and learning about art.” Parker says that her classes are designed to teach the fundamentals and to promote a fun environment. No experience is necessary in order to succeed in Parker’s class—in fact, it might be better to go in completely inexperienced, with a desire to pick up a new skill. With a wide variety of subjects to paint, including still life, flowers and landscapes, a range of learning opportunities are available. Hopeful artists can join the group at any time, and while participants can bring their own supplies, Parker has everything necessary for those who might not know where to begin when it comes to what they need for their new hobby. For those who’d like to spend some more time honing their skills, another growing program at the Creek Center is the open art studio, where participants fill the room and provide a fun, social way to work on their latest art project. “It pairs well with our art classes,” says Fleck, although anyone is welcome to set up their easel, roll up their sleeves, and get to work. The Creek Center also offers about 15 to 18 off-site trips each year. Some past offerings include trips to Duluth, New Ulm, and the Stone Lake Cranberry Festival in northwest Wisconsin. For those who prefer to stay close to home, the Creek Center features a sports dome in the winter, which opens up for free walks around the track. With the dome being very popular, Fleck says there are early birds jumping at the opportunity to get some laps in. “There are diehards that are there at 7:30, right when we open,” he says.